The Punta Cana Poker Classic, the first live event to showcase the popular Sit & Go 2.0 game, is now first when it comes to Bitcoin as well! The event returns to the Dominican Republic from October 24th-30th. And for the first time at any land-based poker tournament, Bitcoin is accepted and welcomed. There is no need to carry lots of cash across the border (either way). You can now easily pay for any tournament you enter via Bitcoin, or receive winnings instantly. The Punta Cana Poker Classic has a $500,000 GTD Main Event and will be held again at the 5-star Melia Caribe Tropical resort. Americas Cardroom has 10 packages ($4,900 value each) available every Sunday night via the Beast (6pm ET) and Sit & Crush (8pm ET) satellites. Win a free satellite entry to the PCPC now. Enjoy the Punta Cana Poker Classic even more this year with Bitcoin! 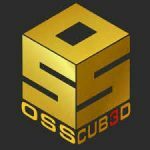 Our next OSS Cub3d runs September 24th to October 22nd. It has three consecutive tourney series with an incredible $14 Million GTD in prize pools over 4 weeks. That’s more than double what we’ve ever done before!